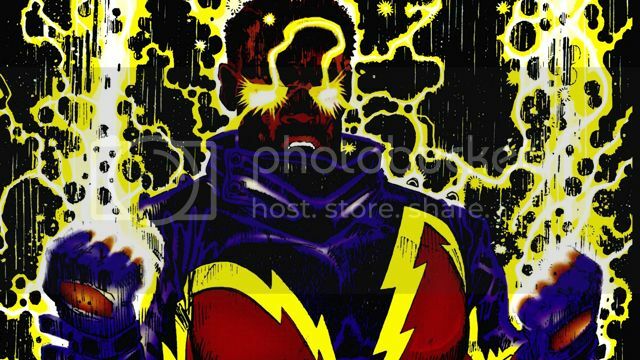 Black Lightning may be the next DC Comics character to get his own television series. Deadline today reports that a Black Lightning TV series is in the planning stages and is currently looking for a small screen home. DC’s Greg Berlanti (producer on The CW‘s Arrow, Flash, Supergirl and Legends of Tomorrow) is working alongside The Game and Being Mary Jane‘s Mara Brock and Salim Akil to develop the series. FOX has announced it has given the Black Lightning TV series a pilot production commitment. This marks the third collaboration between DC Entertainment and FOX with both Gotham and Lucifer preceding it. hindi ba racist na may "black" yung name ng hero na african-american? Like "Black Panther"? Interesting din. Si Black Lighting kamukha ni Kyrie Irving hehe. Lilitaw meron din powers 2 daughter nya. losing interest quickly and we're only at episode 3. This Black Lighting is turning out to be a very good series. Better than those campy, comic one liner, somewhat overly parlored Glee-ish DC TV series. This is one is more serious and has this Marvel tv series vibe in it. Even the enemies are outstanding. Hope they continue making this one. I like this a lot better than those laging talo na The Flash, Arrow and Supergirl (very close to being campy). Black Lightning is a lot closer to those Marvel TV series than DC's.